Guiding your homestead milk to its destiny as a farmstead cheese can seem onerous enough without contemplating the role of our dairy-related fungal friends. Certainly, all of the cheese books out there will tell you to hold off on crafting the mold-ripened varieties until you are a master of the fresh and pressed/aged types. While I agree that you will want some experience in transforming milk into curd—the proper perspective can allow even the novice cheesemaker to craft a stunning blue-veined fromage. Like most traditional cheese, the origins of Gorgonzola are shrouded in myth and debate. 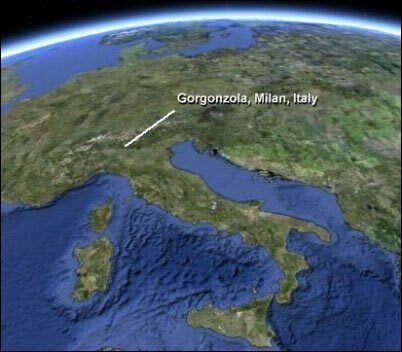 The town of Gorgonzola sits in the lush valley surrounding Milan, in northern Italy. Just south of the Swiss Alps, herdsman would usher their brown Swiss cattle into this valley, offering milk to the landowners in the surrounding towns in exchange for the plentiful flush of late fall grass. Local towns still argue over where the “original” Gorgonzola was crafted. Today, the Italian Denominazione di origine controllata (DOC), or rule of origin, declares over 12 provinces within the valley as approved for the production of this blue-wonder. Another facet of Gorgonzola mythology links the internal blue-veined quality of the cheese to the story of a young cheesemaker in love. Apparently, the apprenticing casaro was left alone to finish the cheese-make, when he decided to skip out early to meet up with the apple of his eye. Returning late, he found his creamery a mess—with curds he could not recover. 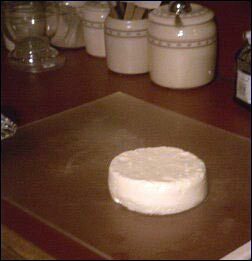 Fearful his master would discover his indiscretion, he started the next day’s cheese make early. Mixing in the crumbled curd from the day before, he was able to effectively hide his irresponsible tryst…for the time being that is. As that batch aged, the now characteristic blue-veins marbled the interior in ways his other cheeses did not, exposing his secret—and giving birth to a new class of cheese. While the blending of young love and good cheese makes for a great story, I am not convinced of its absolute truth. I have heard variations on this story for the creation of Roquefort and several others in the family blue. Accurate or not, this story, like many myths, contains important lessons for the modern day aspiring cheesemaker. A quick Google search for “making blue cheese” will give you a rich diversity of misinformation regarding these majestic delicacies. Penicillin has no part in the process, nothing, per se, is “injected” into the cheese, and the critical “blue” is a fungus, not a bacteria. Most of these myths are rooted in some level of truth. And like the story of the lovestruck Italian casaro, understanding the reasons behind these stories can help us craft better cheese. The maker of blue cheese is, in fact, a farmer of fungi. When you set out to create the intense flavors we seek from this family of cheese, you are cultivating either the Penicillium glaucum or Pencillium roqueforti species of molds. Much like a gardener grows a plant from seed-to-seed, the cheesemaker grows these molds from spore-to-spore. Instead of soil, your growth substrate is curdled milk. Just as in gardening, your responsibilities are the same- to provide the desired species with the proper environmental growth parameters, allowing them to express their full genetic potential. The penicillium molds, like many other fungi, require oxygen to breathe, and a high-moisture environment. The oxygen is supplied in two ways. First through developing an “open” body within the cheese. That is, ensuring an abundance of physical air spaces throughout—achieved through the make process described below. Secondly, through stabbing the cheese. Many mistakenly think this action is injecting the blue culture into the cheese. In fact, by the time the stabbing takes place, the spores have already germinated and mycelia have begun coursing through the fat and casein matrix that is your cheese. This piercing is merely creating air channels to enhance this growth and help distribute the blue more evenly. Moisture is a bit trickier, and while cave design is beyond this article, some advice is included in the aging management section. The intent of this article is not to hand you a recipe or step-by-step instructions for producing the perfect Gorgonzola or blue cheese. Rather, what is offered here is a set of perspectives and key concepts that will empower the home cheesemaker to gain a more complete understanding of what blue cheeses really are, and the important considerations to account for during their production. Step 1: Pasteurize the milk. This step is optional, though the complexities of dealing with raw-milk cheeses are beyond the scope of this article. Pasteurization gives you a blank-slate in terms of the microbiology of the milk—allowing for significantly more control and predictability in your process. 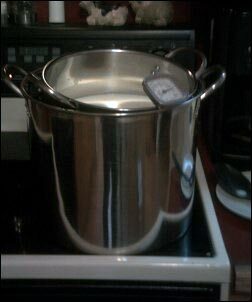 Using a standard hot water bath, heat the milk to 145F, for 30 minutes—stirring regularly. Change out the water and cool the milk to 97F. Step 2: Add the Culture and Lipase. Once you have stabilized the temperature at 97F, add the required quantity of starter culture and .07g of Lipase enzyme per gallon of milk (~1/4 tsp)—dilute the Lipase in 1/4 cup of distilled water a few minutes prior to adding. You have several options when it comes to the starter culture- each with varying implications for cost, flavor, and technical complexity. If you are nervous about the process as is, just use the Ricki Carrol method, with simple pre-measured packets of direct-set mesophilic culture (www.cheesemaking.com). If you want to experiment and have access to a gram-scale, purchase cultures from Dairy Connection (www.DairyConnection.com). The “MA 4000” Farmhouse blend of mesophilics with a small amount of thermophilic culture will work—or you can blend your own. For this use equal parts MA and MD (for flavor development), with a small quantity of TA (for enhanced acid development). After adding starter culture and lipase, stir thoroughly, then let the milk sit or “prime” for 30 minutes. Step 3: Add Rennet and Blue Culture. Add 1/2 tsp of liquid rennet per gallon, diluted in 1/4 cup of distilled water. Add blue spore culture as directed. Stir thoroughly for 30 secs, use a ladle to calm the milk to a standstill. Let the milk set for 45 mins before you begin checking for a clean break. Checking for a clean break. Step 4: Check for Clean Break. As the rennet enzyme works it’s magic on the acidified milk (remember, you lowered the pH of the milk by culturing it with lactic acid bacteria), it will form a wonderful curd. About 45 mins after adding the rennet, you can check for a clean break. Do this by sticking your (clean!) 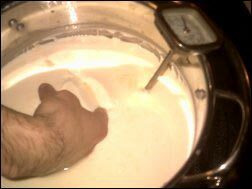 middle and index fingers into the curd at a 45-degree angle, lifting slightly while you break the surface tension with your thumb. You want to see a nice, clean line, as if it’s been cut with a knife. Depending on factors such as the age of your milk and the temperature at which you cultured it, getting a clean break could occur anywhere between 40-80 minutes. Don’t worry too much, and definitely wait until it gives you a satisfactory break. Step 5: Cut the Curd. Being satisfied with your clean break, you can now cut the curd. Using a long knife or flat spatula, make cuts at a 45-degree angle, every inch, rotate and repeat these cuts perpendicular to your first pass. Your goal is to have as even as possible distribution of 1″X1″ cubes of curd throughout your vat when done. This is somewhat impossible for the home-scale producer lacking specialized curd cutting knives, so just try to make the cuts as consistent as you are able to. When you’ve made all of your cuts— remove the knife and let the curds sit—DO NOT DISTURB. Step 6: Stir the Curd. You’ve just cut your curds and you will immediately begin to see them start to expel their golden yellow whey. At this stage, no matter how clean your initial break was, the curds are still very delicate. You will want to wait 10-15 minutes before you begin to stir, otherwise, curd crumbles will flake off, making your job more difficult later. 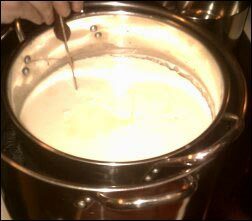 At 10-15 minutes, insert your ladle carefully and give a mild lift to the curds that have now become submerged by the whey. 5-10 minutes after that, give another gentle, but slightly more active stir—watch and see how vulnerable the curd is to flaking off. If you are doing okay, you can then begin to stir every 3-6 minutes, for a minute or so at a time. While you engage in this stirring watch the curd, it will be visibly shrinking as the volume of whey grows. If the curd begins to break up at any point, you’re being a little too aggressive, just ease up and let it catch up to where it needs to be. At 45 mins into your stir, you can be going in every couple of minutes, and beginning to think about forming your cheese. Step 7: Make and/or Clean the form(s). If you are actually milking a dairy critter, or plan on making cheese on more than an experimental basis, I recommend purchasing a cheese form from either Dairy Connection or Ricki Carroll. The food-grade polypro options will work well, I recommend asking staff at either of these businesses for the larger sized molds around 10-12″, but the 8″ molds listed on the website will work. If you don’t want to make this investment right now, any food grade plastic tub can be used. 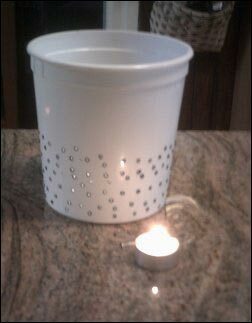 Simply light a candle to heat a nail and make wholes ~3/4″ apart, scrub clean and bleach sanitize when done. No matter what you use, make sure it is clean and ready to use by the time your curds are ready to be formed. Step 8: Judging when to “hoop” or transfer the curds into the form. This is the most technical part of the process, critical to the success of your blue cheese. Remember from above, that you are primarily a farmer of the fungi—you are building a house of cheese for your mycelial friends to dwell within and create their fantastically flavorful metabolites. The more “rooms” that you can build into your cheese house, the happier your blue culture will be to take up residence inside. Just as a builder of human homes must ensure the integrity of her building materials prior to construction—so to must the cheesemaker ensure that his curds will have integrity prior to hooping. At any time after 45 minutes into your stir, take your form, or a smaller cup with drainage holes, and scoop some curd into it. Flip with over into your open hand and watch what happens. I sort of look for the same physical qualities I would in a healthy garden soil—good solid clumping, but with aggregates that readily break apart when nudged. As you let the clump of curd cubes break apart into aggregates, look for spaces in between the cubes. You want to see distinct cavities as opposed to the curd sealing itself up. If the curd does not have the integrity to maintain these little air spaces, it is not ready—continue stirring and test again in a few minutes. When you feel confident that the curd will maintain some air spaces, fill your form(s) in layers, building curd on top of curd—careful not to press or add any pressure to the newly forming cheese. An alternative or complementary technique is to model the story of that original lovestruck Italian casaro that mythically discovered Gorgonzola. If you find that your hooping technique is not giving the open architecture required to support the blue culture try blending two days worth of cheese makes into one. Make another batch again the following day, this time cutting up the first make and sprinkling it in layers as you hoop. The firmness of the first make will help create the openness in your cheese just as it did for our Mediterranean apprentice so long ago. Step 9: Flipping your Cheese. As soon as you have filled all of your forms, flip each form entirely over onto a draining board. Begin your clean up, but be sure to flip the cheeses, still in their form, again after only 10 minutes. Flip again after 15 minutes, and then again 15 minutes after that. By this time you can probably start taking the cheese out of it’s form and flip it- placing it back into the now right-side up form. Flip two more times on the 1/2 hour, then two more times on the hour, finally make two more flips 2-3 hours apart. All of this flipping helps ensure the integrity of the air-spaces within as well as the general shape of the cheese and your ability to remove it from the form without sticking. The times for flipping listed here are a very general guide, use your judgement based on watching the cheese—in general flip more often at first, and less often as the first 24 hours go by. There are many ways to create a “cave” like environment to age your caseinous creation. The simplest is to find a Rubbermaid cake box—a stout cylinder sizable enough to cover your cheese creating a few inches of air space that will trap moisture leaving the cheese. Place this unit in your normal refrigerator. If you choose this method, be sure to lift up the lid every couple of days to let the cheese breathe. This option will work, though the temperature of your fridge will be a tad chilly for the blue culture to grow—it may add a month or more to your aging process. If you want something more exacting and dedicated—you can convert an old refrigerator into a cave. All you need is a thermostatic controller and a source for humidity. Full directions on how to make a cheese cave can be found on Ricki Carroll’s website. You are going to want to flip your cheese at least weekly during the 3-6 months it will age in your cave. As mentioned above, you will also want to use a clean metal rod (or other food grade prod) to “stab” each wheel. Do this after about 1 week, stabbing in a spiral pattern, every 2 inches. Flip the wheel and repeat the stabbing pattern on the other side. There are also several options for developing different types of rinds. Affinage, or the science of aging cheese, is a technical field that individuals devote their lives to. If you really enjoy making blue-veined cheeses I would encourage you to explore the range of management techniques you can employ to achieve various rind results. Traditional Gorgonzola has a clean rind that is developed by wrapping the wheel in a foil at around 30 days of age. I prefer a wild rind. By allowing native molds to grow unchecked until the wheel is ready, the rind develops a mottled appearance and a wonderfully unique flavor and texture. There are even options beyond this, experiment and see what you like. Like all aged cheeses, the blues require intense patience and the willingness to endure a long and steep learning curve. The rewards for your steadfast dedication will be unrivaled culinary enjoyment and the amazement of your friends and family. Certainly Gorgonzola is well suited to almost any type of salad, but I also enjoy adding it to a number of hot dishes. Try making a buffalo chicken pizza—with diced chicken breast marinated in a buffalo sauce combined with blue crumbles—sure to be a favorite at informal gatherings. I think it also makes a unique addition to classic Mac’n Cheese, or combined with sausage as a filling for stuffed baby portabellas. 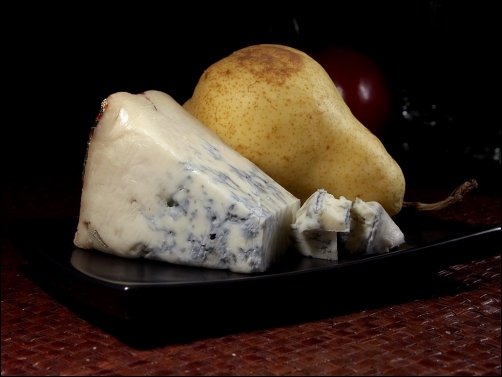 No matter how you prepare it, your homemade blue cheese is sure to be a source of pride every time you bring it out. Enjoy!